Fenlink FL1510s is to convert a 2.5-inch SATA hard drive or 2.5-inch SSD SATA hard drive to a 3.5-inch SATA hard disk converter, using the FL1510s product can convert standard 2.5-inch SATA hard drive or 2.5-inch SSD SATA hard drive to a 3.5-inch SATA hard drive installation specifications! And support a different height of the 2.5 inch SATA hard drive or the 2.5-inch SSD SATA hard drive. Users can easily install the 2.5-inch SATA hard drive or 2.5-inch SSD SATA hard drives on the converter, and the converter installation and the ordinary 3.5-inch SATA hard drive installation exactly the same, can be installed directly on the mainframe or application on a variety of 3.5 inch SATA internal or external hard disk box. FenLink FL1510s. Die casting aluminum alloy molding. The design idea of open form, even if the long time running, does not affect the hard disk cooling effect. 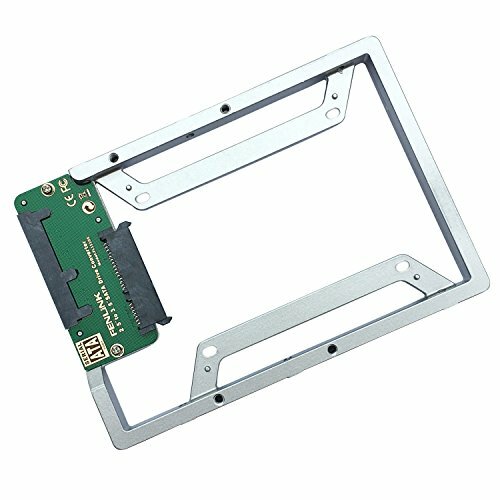 SATA port specification supports SATA 1 / 2 / 3. If you have any questions about this product by Fenlink, contact us by completing and submitting the form below. If you are looking for a specif part number, please include it with your message.